Mondays and/or Wednesdays 9-12 in the Spring & Fall. Spring registration opens in March! 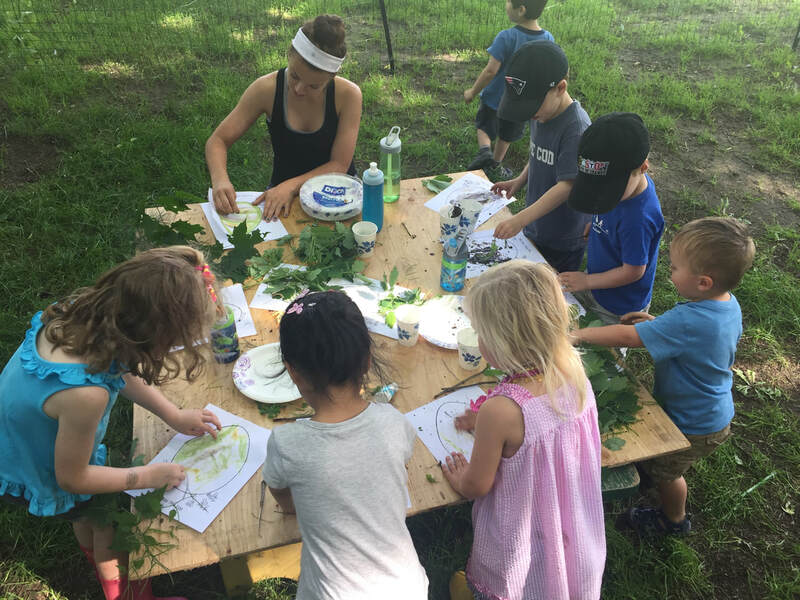 Check out our Little Farmers ​Summer Vacation classes ~ Now Enrolling! The Little Farmers Program is a full-sensory farm and nature program for your preschooler! 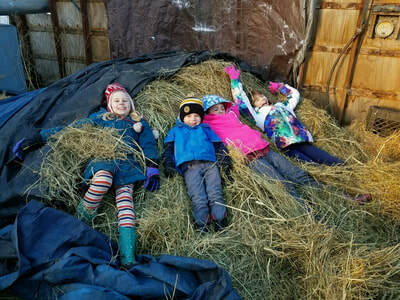 At Chip-in Farm, we aim to connect children to the outdoors and their community through outdoor play and meaningful farm work. Children will help us care for the animals each day before we embark on our nature exploration. 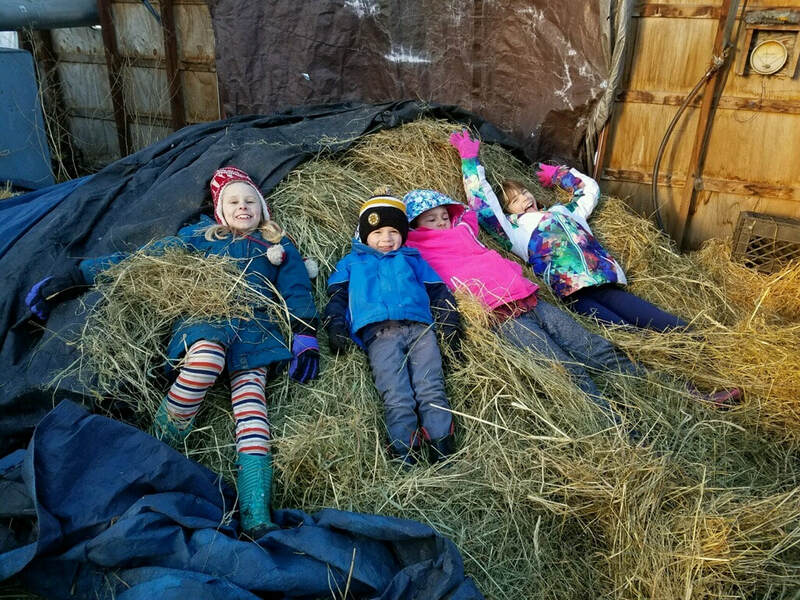 We will spend the majority of each day outside and in the barn no matter the weather for a first-hand experience of the shifting seasons and natural changes throughout the year. This means that we will be outside in the sun, the rain, and maybe even the snow! 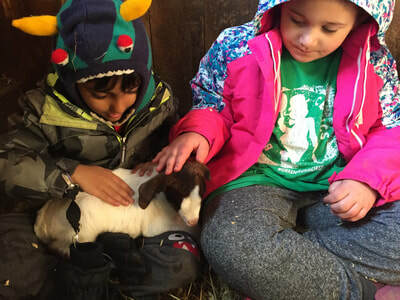 This hands-on farm and nature experience will gift your child a deeper connection to the natural world while developing resilience, self confidence, and independence. This drop-off program is for kids ages 2.5-5. Join the farmers to help care for the animals at Chip-in Farm! We will learn what it takes to be a farmer through stories, games, crafts, and real farm work! When the chores are done we will have fun playing outside together on the farm and in the fields and forest. The farm offers a full sensory experience for your Little Farmer. This program is for kids ages 2.5-5. This is a drop-off class but parents are always welcome to join in!